Bananas….they’re not just loved by monkeys; they’re loved by the world. Bananas are grown on plants and come in bunches that are also known as “hands.” The plants can grow to be 10, even 26 feet high and are in the same family as the lily and the orchid. While we are most accustomed to the yellow variety, bananas actually come in hundreds of different types that can include red, pink, purple, and black. The Plantain bananas are one type of species and are usually cooked due to their starchy texture. 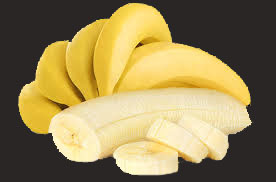 Bananas are thought to have originated in Malaysia around 4,000 years ago according to the website www.whfoods.com. Now, predominate in the United States, they are grown in lush and exotic locales like Costa Rica, Mexico, Ecuador and Brazil. ← Franchisee Spotlight: Trenton Turns it Up a Notch!